I’m not sure what else today will hold. 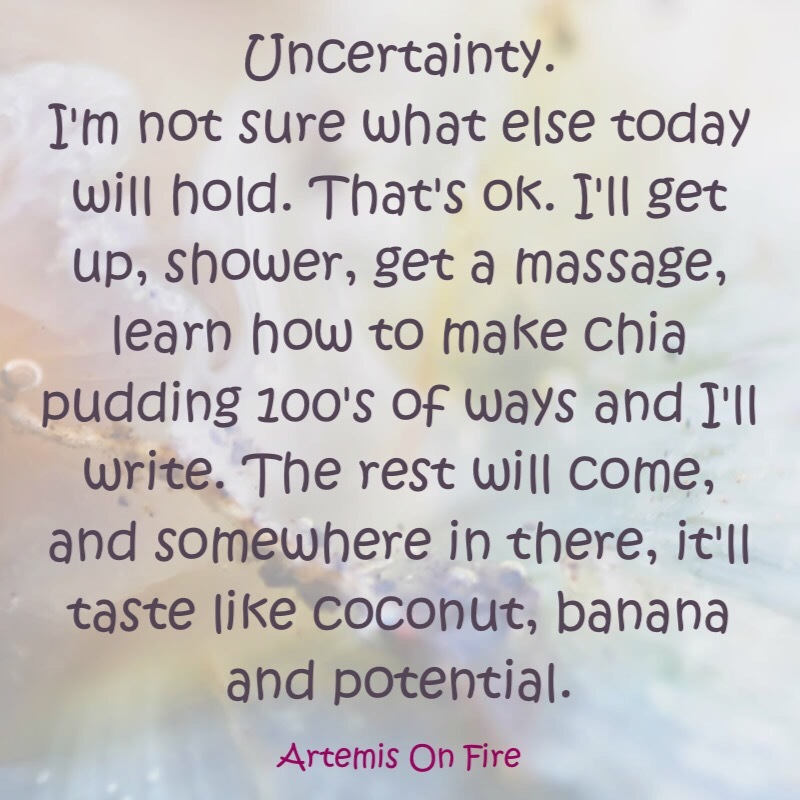 That’s ok. I’ll get up, shower, get a massage, learn how to make chia pudding 100’s of ways and I’ll write. The rest will come, and somewhere in there, it’ll taste like coconut, banana and potential.